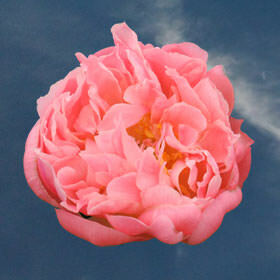 The Peony Online is a fantastical semi-bloom of magnificent proportions. Peachy and salmon in color, the petals on this plump bloom may burst in all sorts of directions coming in bowl shapes to ruffled frills that dance out and catch the light. Peony Online is usually of a delicate scent that does not overpower and comes with a n immense diameter that easily fills up a short table centerpiece with but a few of them. These florets speak to that side of USA that craves extravagance and splendor, it is of such a shape that it inevitably impressed anyone who gets the chance to be graced by its presence. Create an arrangement consisting of Peony Online as a phenomenal thank you whether it to be to a distant acquaintance or an intimate friend. Their neutral color makes them soft enough to be appropriate for any situation yet their form says everything you need to say in a grand way that is unmistakable. Big feelings require a tremendous blossom, and these are surely it. Try this pinky paradise of a floret, accented by its yellow stamen center, for your next floral adventure and you won't be disappointed! We have ensured that only the best flowers make it to you, each one has been submitted to a thorough inspection! You can see for yourself!